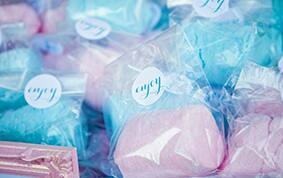 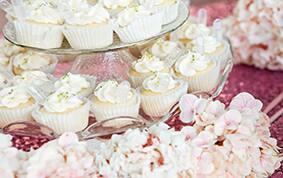 Glitter, sweets and pastel treats- oh my yes please! 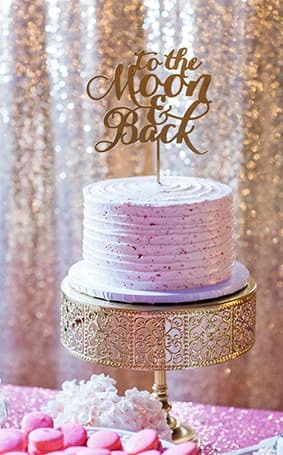 Today's Wedding Cake Wednesday is for all of those who have a slight (okay I mean major) obsession with glitter. 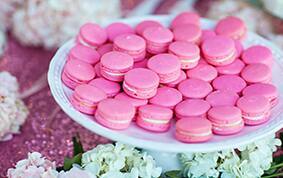 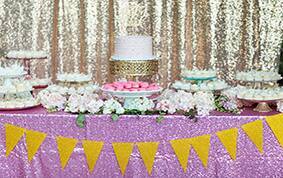 Highlight your love for all things sparkly at your wedding dessert bar display. 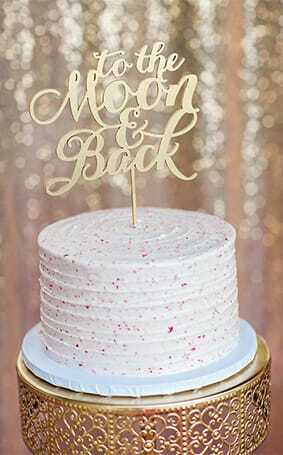 Whether it's a glitter backdrop or table cloth or glitter specs baked in the dessert, your sweets will surely sparkle and take centerstage at the reception.